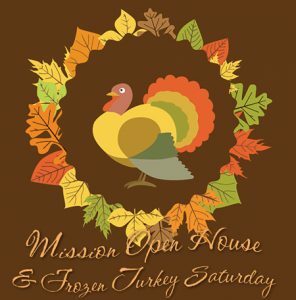 Phoenix Rescue Mission (PRM) is collecting frozen turkeys this Saturday, November 12th from 11:00 AM – 2:00 PM. All those who donate a turkey are invited to enjoy a free lunch and take a tour of their Community Services Center. The Mission hopes to collect 1,100 frozen turkey to be given to disadvantaged families this Thanksgiving, in addition to all the trimmings. This year our Lerner and Rowe Gives Back team will be donating approximately 450 frozen turkeys. If you can’t make it to Frozen Turkey Saturday, PRM also accepts cash donations. You can donate online now at phoenixrescuemission.org.